I read this article and found it very interesting, thought it might be something for you. The article is called How you can help in the final week before the primary and is located at https://votesocialism.com/how-you-can-help-in-the-final-week-before-the-primary/. Just seven days until the end of the Primary Election voting period! 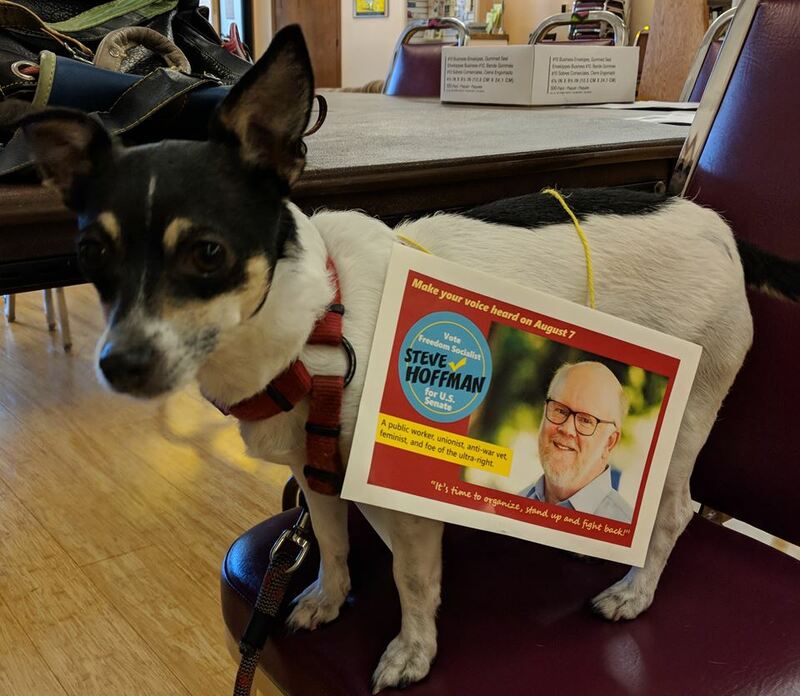 This is your chance to vote for Steve Hoffman and help create as much momentum as possible to support a union militant and Freedom Socialist candidate. The Progressive Party of Washington State, Socialist Alternative and Seattle City Councilmember Kshama Sawant have join Socialist Action and their U.S. Senate candidate, Fred “Mitch” Linck, all of whom have endorsed Hoffman. It’s important for Leftists to support each other with their endorsements as we challenge the heartless limitations of the two party system. Sign up to call voters and distribute campaign literature. Come to Volunteer Appreciation Night, Wednesday, August 1, 6:30pm at Campaign Headquarters, 5018 Rainier Ave. S., Seattle. Sign up to wave signs Monday August 6th and Tuesday August 7th. Remind your friends and neighbors to vote and encourage them to vote for Steve. Vote for Steve! And we’ll mail you an “I voted for Steve Hoffman” sticker. Hear Steve’s tales from campaigning around the state and toast achievements of his ground-breaking run for U.S. Senate. Tuesday, August 7, 6:30 at campaign headquarters, 5018 Rainier Ave. S., Seattle.